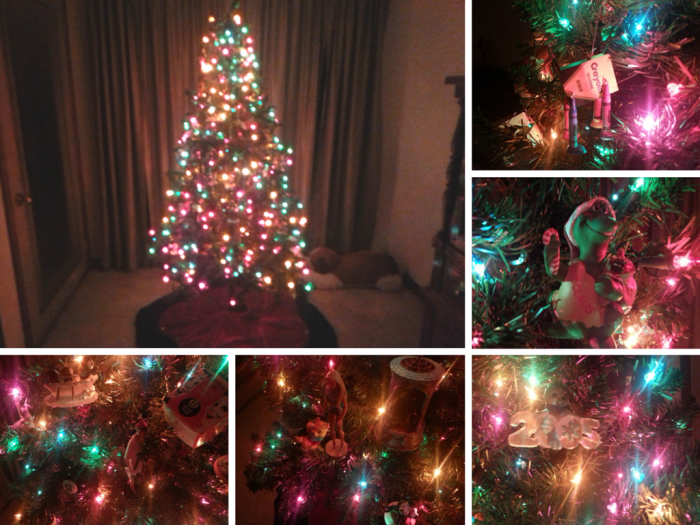 If you didn’t already know this, I have a Christmas tree problem. I mean…Brian calls it a problem. I think it’s a fun way to celebrate the holidays. Luckily, I’m not alone in my crazy. 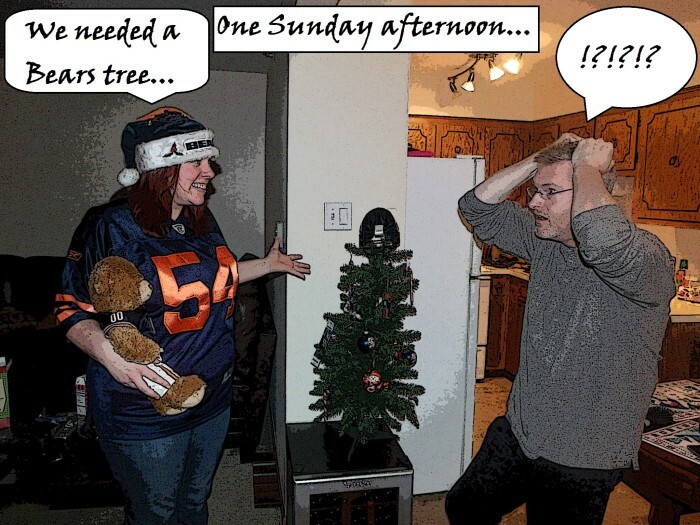 I certainly didn’t get this way all on my own, and I don’t think Brian’s childhood was completely immune to the idea of a themed Christmas tree – or an overabundance of Christmas in general. 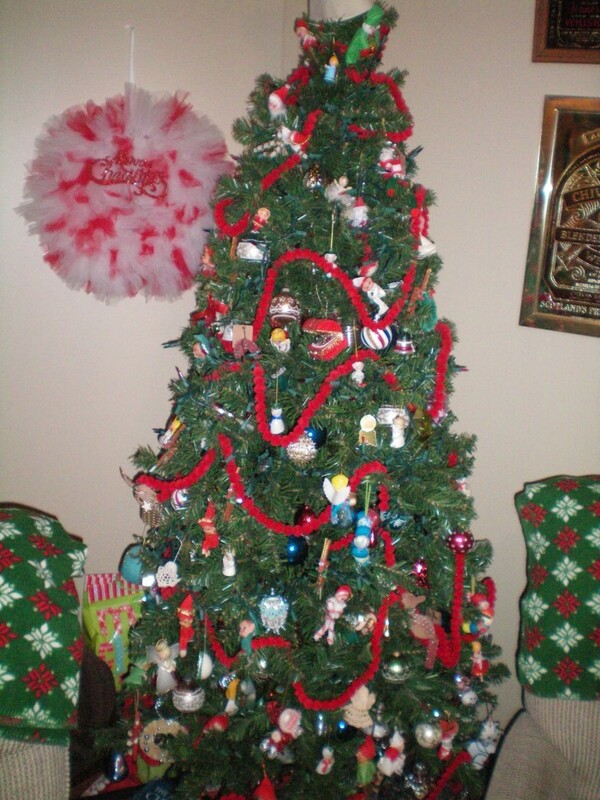 But I LOVE themed Christmas trees. I came across an article on Yahoo! DIY that had a variety of unique tree ideas, and it really got me thinking. 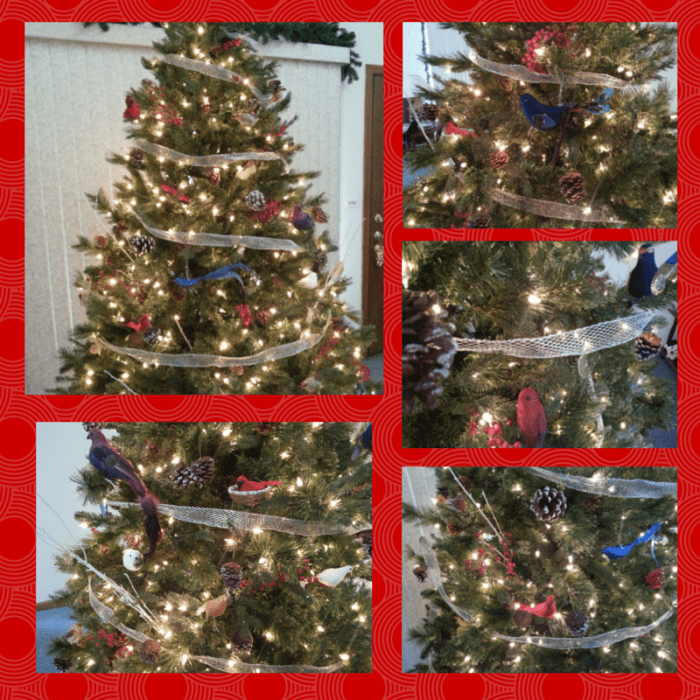 My people (and Brian’s people) are evil geniuses when it comes to Christmas tree themes. I knew that I had to share the joy. Without further ado, I’d like to present you with my friend-sourcing project for the holidays. Below you’ll find the Christmas trees that we, along with our friends and family, put up for Christmas. 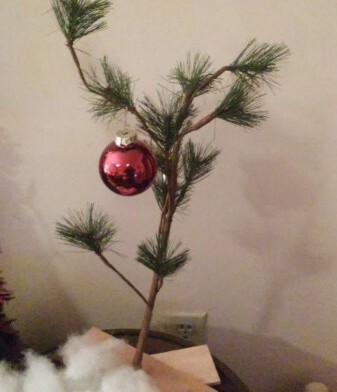 I’ll start with my themed trees. I know that Hallmark isn’t really a “theme” but you know what? I’ve wanted one ever since I saw Katie Kelly’s mom’s Hallmark tree, so you bet your bottom dollar that I planned to have one when I grew up. 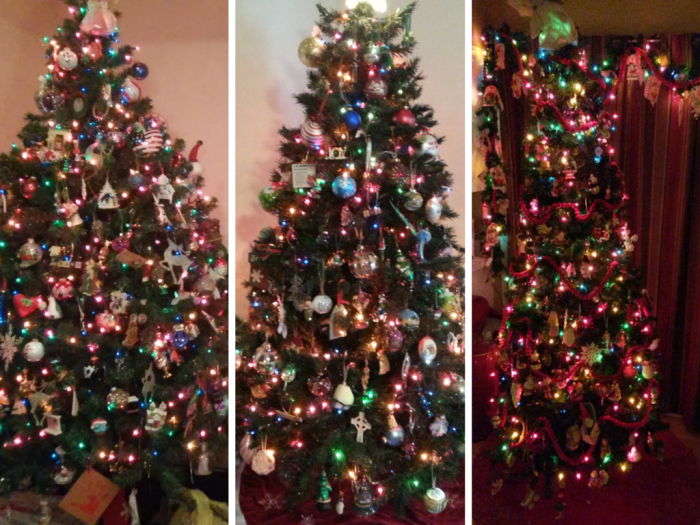 The family trees pictured belong to myself, my mom, and my aunt (you’ll meet some of their other trees later in this post). Try to guess which one is mine. 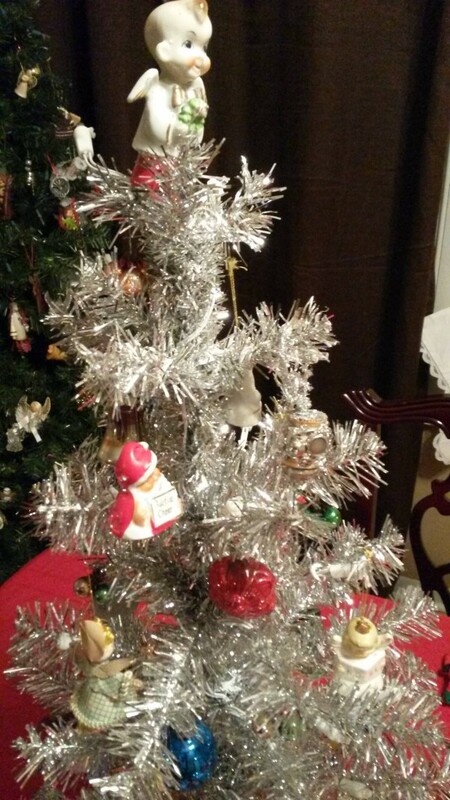 The bird tree is a tree that I received on my doorstep this year (courtesy of my aunt) with ornaments that belonged to Brian’s mother. It’s my all-time favorite tree. The shoe tree started as a random collection, much like my martini glass collection, and was upgraded from a 3-foot tree to a 4-foot tree last year, and this year has become a full-grown, 6-foot tree. The book tree was upgraded from a 12-inch tree to a 4-foot tree, but she’s got a ways to go before she’ll grow up any further. 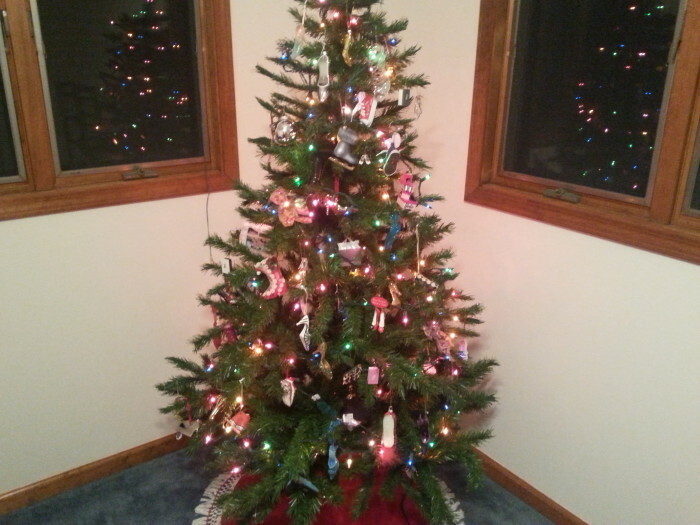 My mom has her family ornaments strewn out on two separate trees in the family room and the living room/front room. 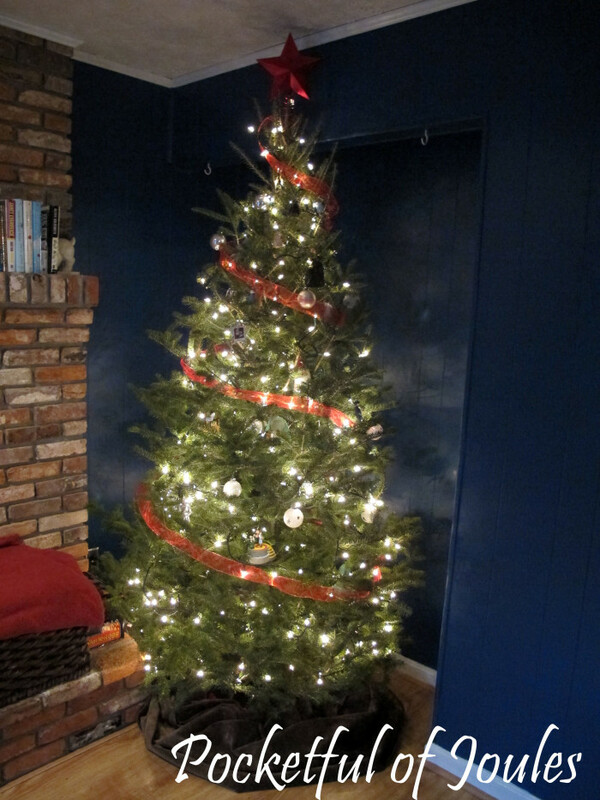 She also has a 5-foot tinsel tree in the front hall. She’s even put lights on a palm tree to remind her of Florida. But the tree that amuses me the most? 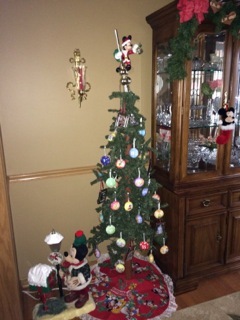 The Charlie Brown Christmas tree in her family room. My aunt, who is one of the most Christmas-loving people I know and the very lovely benefactor of one of our many trees, goes all out for Christmas. I can only hope to have the time and energy to fill my home with as much Christmas joy as she does. The next several trees were all her creations, and I have to admit I’m completely jealous of all of them. 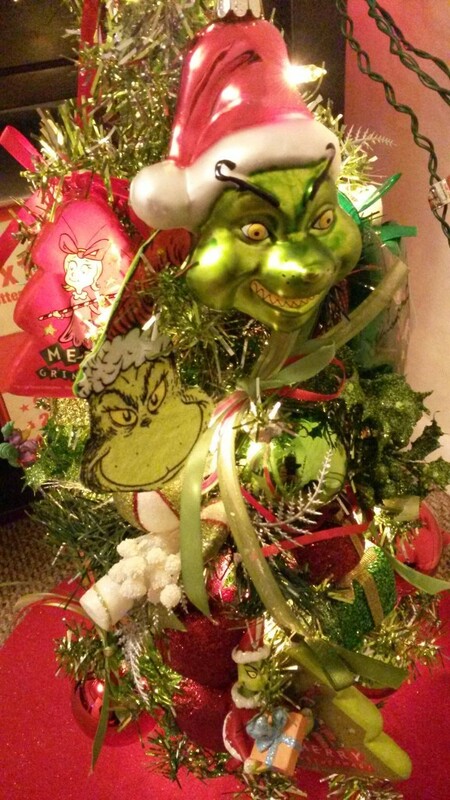 I’m working toward a Grinch tree for Brian. My aunt does that one for my cousin who doesn’t seem to love Christmas as much as she and I do. My mom’s best friend who is basically my second mom, has a vast collection of Barbie ornaments from Hallmark. When I was a child, I received many of these from her for Christmas, so I could very well have my own Barbie tree also. Right now, those ornaments live on my Hallmark tree. 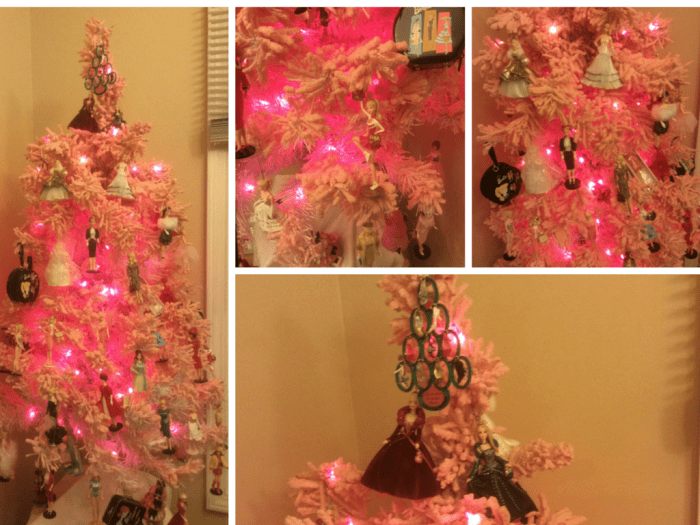 She has a beautiful pink tree loaded with Barbie, and oh boy is it beautiful! 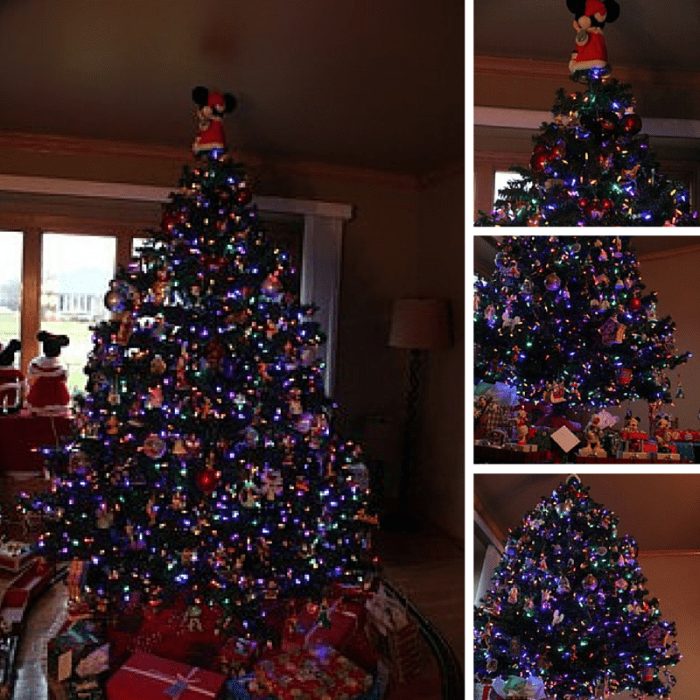 One of Brian’s cousins sent me pictures of her stunning Disney-themed Christmas tree as well as her Disney advent calendar tree and S’mores-themed tree (Hey Joules! Lookout!). The Disney tree has 550 ornaments and 2000 LED lights to set a magical atmosphere that makes me wish I was in Lake Buena Vista. I am actually hoping to have a Mickey Mouse Christmas tree one year, and possibly a Disney princess or Disney villain tree as well. So this Disney tree is pretty much amazing. 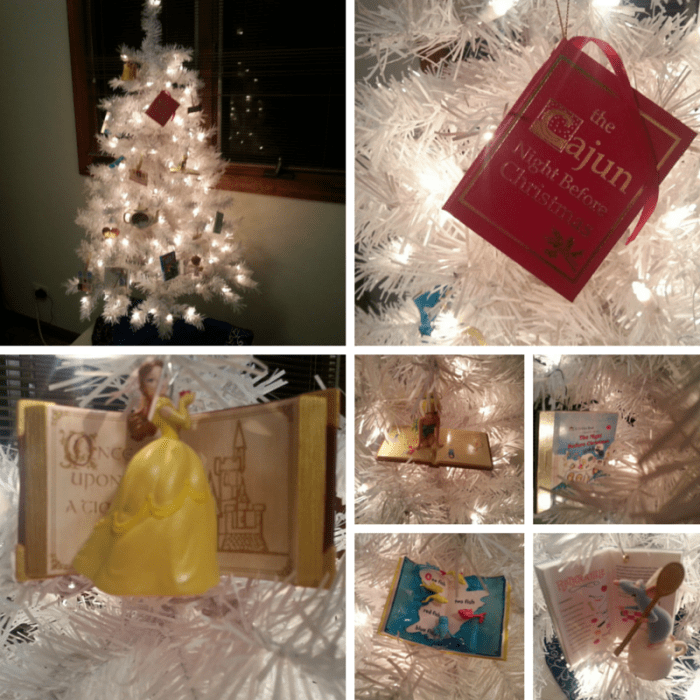 The Disney Advent Calendar tree would fit right in with the advent calendars article I read on Yahoo! DIY , as you can find each day of advent on the tree! The marshmallow tree has S’mores branded ornaments with little S’mores marshmallow men. My darling best friend on the planet, Katie (of Words for Words fame), with her darling penguin obsession has (obviously) a penguin tree. 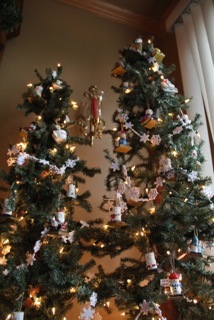 Which is so full to the brim with penguin ornaments that I stopped buying her penguin ornaments. And occasionally I will buy her penguin-y things…and keep them for myself. Because she has plenty of penguins. And everyone needs a tuxedo bird pal. Another friend of ours, Kelly (who also sells amazing soap on Etsy), has a tree that she is absolutely in love with (and I certainly can’t blame her). 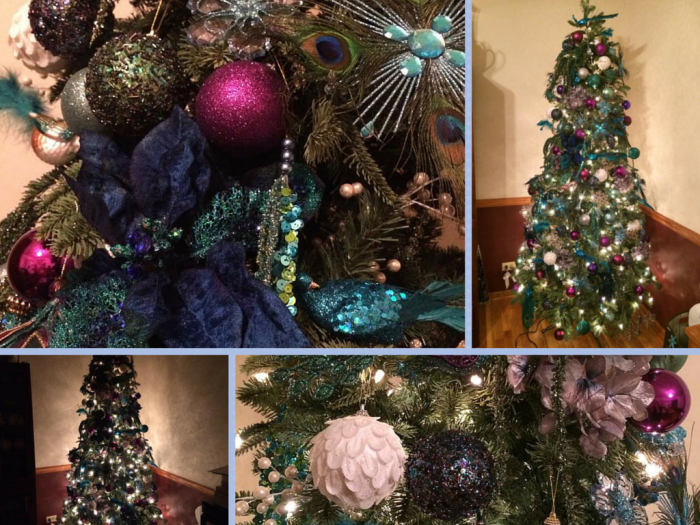 This stunning peacock tree stands out in her home with teal, green, and blue feathers, magical sparkly ornaments and lots of help from her adorable tiny humans. This tree reminds of our bird tree, only with more sparkles and purples. I’m a huge fan. 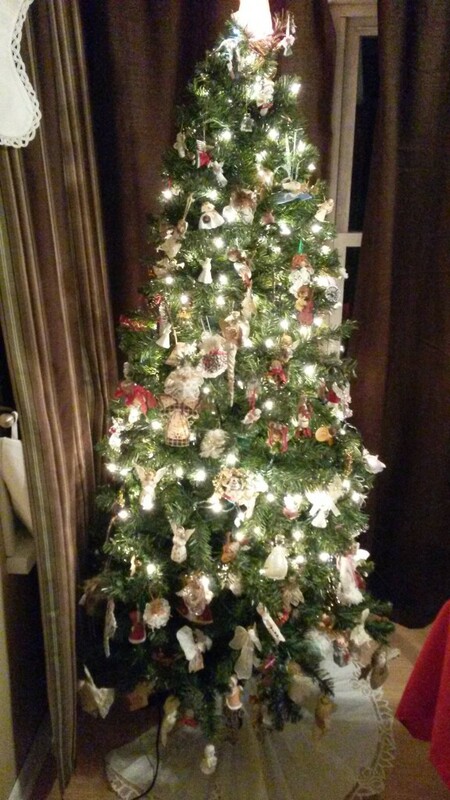 And last, but certainly not least, my friend Joules, over at Pocketful of Joules, has her own really amazing tree that makes me super jealous I didn’t think of it first. 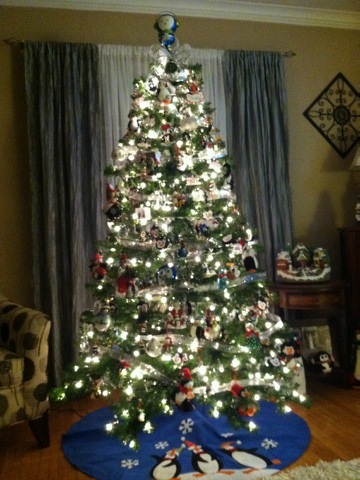 She has a Wizard of Oz tree with all the fabulous characters from the beloved movie. 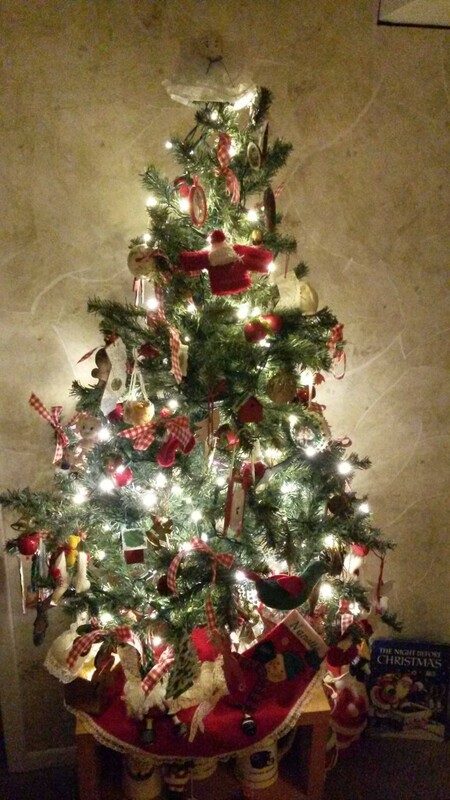 With almost twenty-five ornaments, in an ornament collection/obsession that begun with gifts from her grandparents, this tree oozes of delicious joy. 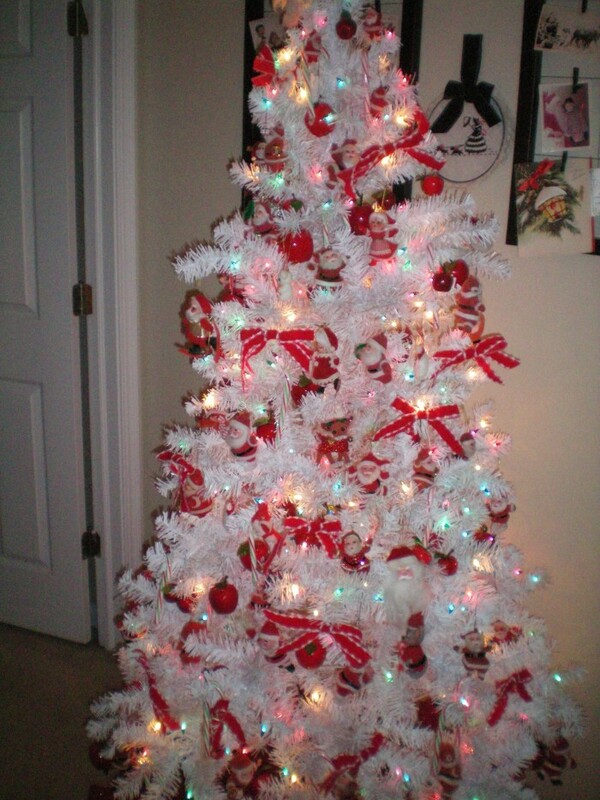 Blog Friends, do you put up a themed Christmas tree? Do you celebrate Christmas? 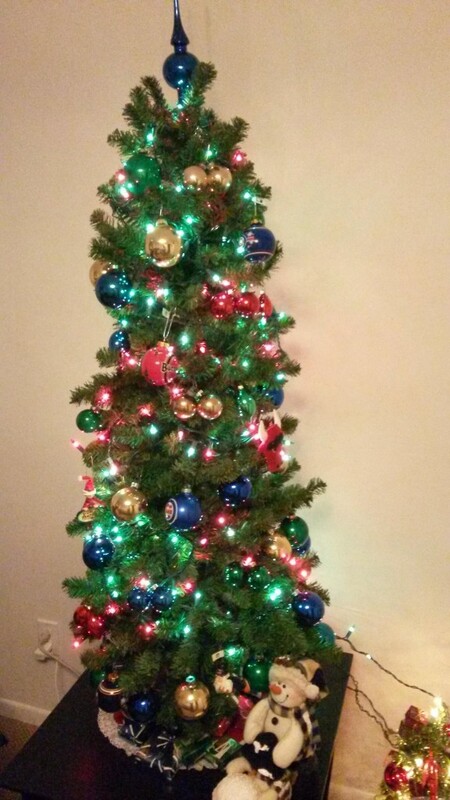 If you DID put up a themed tree, what would you WANT it to be? Have you been following #YahooDIY for ideas and other fun goodies?